The 22nd chapter of Job confirms a few of the basic principles of KingdomNomics for making the Word of God personally operative in our lives. In verse 21 we are encouraged to acquaint ourselves with God so that we will be at peace with him and have the prospect of good coming our way. 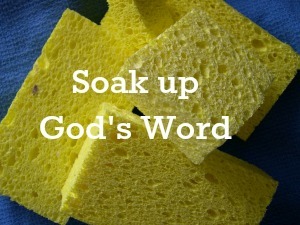 It is emphasized for us to receive instruction from his mouth, and then to be sure to lay up his words in our heart. Wow! This tells us that God is taking an active and working part in our lives as we acquaint ourselves with him and store up his word in our heart. Let’s be sure to first acquaint ourselves with God by memorizing and meditating on his Word. Secondly, this helps us to store up his Word in our heart stimulating us to look for the finger of God working in our daily life.